Buyer Beware - Do Supplements Really Work? If you have ever been to a vitamin store, you have seen the ads with the over-sized bodybuilder promoting a miracle pill that guarantees to increase testosterone levels and lean muscle mass while maximizing sexual performance. The truth is, the only good thing about these hormone supplements is their advertising. As you may have heard, when something sounds too good to be true, it is. The only way to increase your hormone levels and gain its associated benefits is through proper hormone treatment (Read More). At Royal Men’s Medical Center, we only use FDA approved medication for testosterone replacement therapy. We know our hormone therapy works. We have conducted extensive labs on all of our patients that show optimal results. Do not waste your money on supplements that do not provide any real proof to support their claims. These supplements cannot show an FDA approval seal or any lab work to prove their products’ success. For example, many labels on supplement bottles mention the following phrase: “Best results when training 3-5 times a week.’’ Everyone knows that training 3-5 times a week, without doing anything else, will also benefit your health and physique. Why would you want to risk your hard-earned money on an aggressive sales pitch for hormone replacement supplements that won’t do anything other than work as a placebo at best? 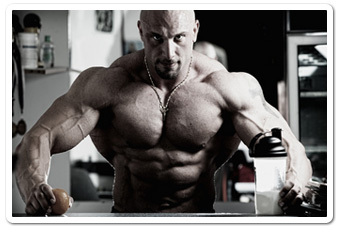 For a real and proven testosterone replacement therapy, Click Here. Below you can find a link that expresses just how unsafe these supplements can be. Some may even cause death according to an NBC News report: Read Here.